Top, Cardigan: Anthropologie. Skirt: Vintage. Jacket: Banana Republic. Tights: Target. Bag: Kate Spade (Christmas git from my Mom!). Shoes: Fiel. Bracelets: Vintage, Target. Getting back into the swing of things this week but I can’t help but daydream about my upcoming vacation in February. Anyone else suffering from a holiday hangover? Such a cute outfit! I love the colors and the little bow in your hair! Thanks Sara! 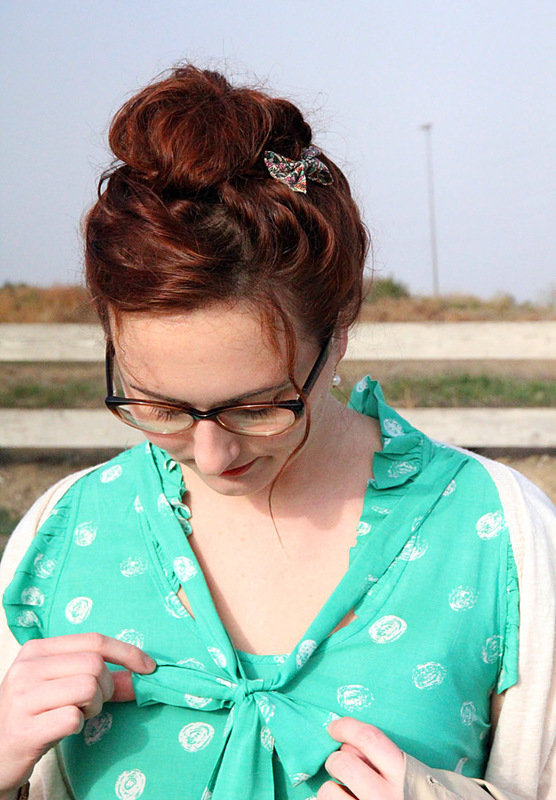 I got the bow at H&M – they have tons of different ones in fun colors and prints.